It's a great time to be a web performance aficionado, and the arrival of the Paint Timing API in Chrome 60 is proof positive of that fact. The Paint Timing API is yet another addition to the burgeoning Performance API, but instead of capturing page and resource timings, this new and experimental API allows you to capture metrics on when a page begins painting. If you haven't experimented with any of the various performance APIs, it may help if you brush up a bit on them, as the syntax of this API has much in common with those APIs (particularly the Resource Timing API). That said, you can read on and get something out of this article even if you don't. Before we dive in, however, let's talk about painting and the specific timings this API collects. Why do we need an API for measuring paint times? If you're reading this, you're likely familiar with what painting is. If not, it's a simple concept to grasp: Painting is any activity by the browser that involves drawing pixels to the browser window. It's a crucial part of the rendering pipeline. When we talk about painting in performance parlance, we're often referring to the time at which the browser begins to paint a page as it loads. This moment is appropriately called "time to first paint". Why is this metric important to know? Because it signifies to us the earliest possible point at which something appears after a user requests a page. A lot goes on as a page is loading, but one thing we know is that the sooner we can get something to appear for the user, the sooner they'll realize that something is happening. Sort of like your LDL cholesterol, most performance-oriented goals involve lowering your numbers. Until you know what your numbers are to begin with, though, reaching those goals can be an exercise in futility. What `first-paint` might look like. What a `first-contentful-paint` event might look like. It's important to point out that these two points in time may not always be so distinct from one another. Depending on the client-side architecture of a given website, first-paint and first-contentful-paint metrics may not differ. Where faster and lighter web experiences are concerned, they'll often be nearly (or even exactly) the same thing. On larger sites where client-side architecture involves a lot of assets (and/or when connections are slower), these two metrics may occur further apart. In any case, let's get an eye on how to use this API, which has landed in Chrome 60. We do a simple check to see if the performance object is in the window object. This prevents any of our code from running if performance is unavailable. We attach code using addEventListener to the window object's load event, which will fire when the page and its assets are fully loaded. In the load event code, we use the performance object's getEntriesByType method to retrieve all event types of "paint" to a variable called paintMetrics. Because only Chrome 60 (and later) currently implements the paint timing API, we need to check if any entries were returned. To do this, we check if paintMetrics is undefined and if its length is greater than 0. Paint timings exposed in the console. The timings you see in the console screenshot above are in milliseconds. From here, you can send these metrics someplace to be stored and analyzed for later. This works great and all, but what if we want to have access to these metrics as soon as the browser collects them? For that, we'll need PerformanceObserver. If you absolutely, positively need to access timings as soon as they're available in the browser, you can use PerformanceObserver. Using PerformanceObserver can be tricky, especially if you want to make sure you're not breaking behavior for browsers that don't support it, or if browsers do support it, but don't support "paint" events. This latter scenario is pertinent to our efforts here because polling for unsupported events can throw a TypeError. We check for the existence of the PerformanceObserver object in window. If PerformanceObserver doesn't exist, nothing happens. A Promise is created. In the first part of the promise chain, we create a new PerformanceObserver object and store it in the observer variable. This observer contains a callback that resolves the promise with a list of paint timings. We have to get those paint timings from somewhere, right? That's where the observer method kicks in. This method lets us define what types of performance entries we want. Since we want painting events, we just pass in an array with an entry type of "paint". If the browser supports gathering "paint" events with PerformanceObserver, the promise will resolve and the next part of the chain kicks in where we then have access to the entries through the list variable's getEntries method. This will produce console output much like the previous example. If the current browser doesn't support gathering "paint" events with PerformanceObserver, the catch method provides access to the error message. From here, we can do whatever we want with this information. Now you have a way to gather metrics asynchronously, instead of having to wait for the page to load. I personally prefer the previous method, as the code is more terse and readable (to me, anyway). I'm sure my methods aren't the most robust, but they are illustrative of the fact that you can gather paint timings in the browser in a predictable way that shouldn't throw errors in older browsers. Depends on what you're after. Maybe you want to see just how fast your site is rendering for real users out in the wild. Maybe you want to gather data for research. At the time of writing, I'm conducting a image quality research project that gauges participants on how they perceive lossy image quality of JPEGs and WebP images. As part of my research, I use other timing APIs to gather performance-related information, but I'm also gathering paint timings. I don't know if this data will prove useful, but collecting and analyzing it in tandem with other metrics may be helpful to my findings. However, you use this data is really up to you. In my humble opinion, I think it's great that this API exists, and I hope more browsers move to implement it soon. The surface of this API is shared with the established Resource Timing API, so you should brush up on that. If you feel comfortable with the code in the article, you'll be able to immediately benefit from this incredibly valuable API. While this API doesn't share much of a surface with the Navigation Timing API, you really ought to read up on it. 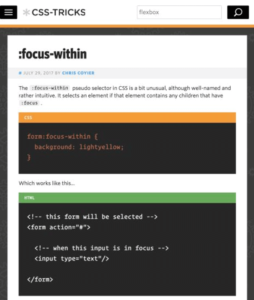 This API allows you to collect timing data on how fast the HTML itself is loading. PerformanceObserver has a whole lot more to it than what I've illustrated here. You can use it to get resource timings and user timings. Read up on it here. Now that you've gotten your hands dirty with this API, head out and see what it (and other APIs) can do for you in your quest to make the web faster for users! 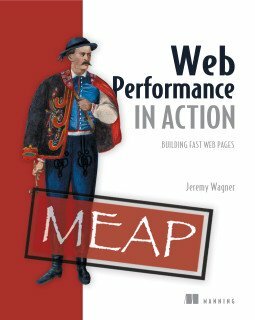 Jeremy Wagner is the author of Web Performance in Action, available now from Manning Publications. Use promo code sswagner to save 42%. How does the spec differentiate between first-paint and first-contentful-paint? How does it determine content? "first-paint" entries contain a DOMHighResTimeStamp reporting the time when the browser first rendered after navigation. This excludes the default background paint, but includes non-default background paint. 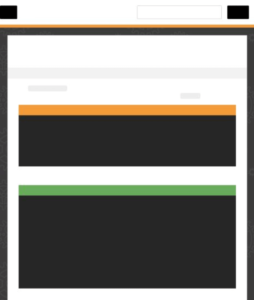 This is the first key moment developers care about in page load – when the browser has started to render the page. "first-contentful-paint" contain a DOMHighResTimestamp reporting the time when the browser first rendered any text, image (including background images), non-white canvas or SVG. This includes text with pending webfonts. This is the first time users could start consuming page content. I assume both solutions will work in Chrome 60+ and in other browsers when they implement those apis, so question – are both solutions equal in terms of browser support or one is more favorable than other? It really depends on what you want to achieve: Do you want to gather metrics as soon as possible and act on them immediately when they’re available? Use PerformanceObserver. If you can afford to wait, gather those metrics on the load (or similar) event. I think the former is easier to write and get one’s head around, and that’s what I went with when I gathered metrics on my image survey site. It’s likely that any browser supporting resource/paint timing APIs will have support for PerformanceObserver, but attaching events with addEventListener is very widely supported.